I took off before daylight. Everything was sparking around in my head; the heat, the smell of sticky fruit, Rachel laughing: I couldn’t breathe. I’d packed a few things – had two weeks leave coming anyway – and headed out of the city, the cool dawn air catapulting my mind off into somewhere else. By lunchtime I was a hundred miles away, tucking into a plateful of snapper in a tourist hotel. The place was rough around the edges but bits of faded style pushed out at you as you made your way through its rooms. The staircase was the best: one of those great chunks of woodwork that remind you of the tree it came from. I looked at the fish on my plate and it looked back at me with one cooked eyeball. There was the sound of a woman’s voice nearby. ‘Hello.’ I said, looking first at him, then to her. Her dress was old-fashioned, made from that floppy, slimy sort of material my mother used to wear. His suit had seen better days: white shirt, a bit old. ‘Good evening.’ The man spoke slow, making you wait for it. ‘Your Sundowner, it's good?’ I looked at him for an explanation. ‘Drink, before dinner. That's what they're called in Zimbabwe.’ He put his knife and fork neatly across the plate. ‘Chris Martin,’ I said. What would they know? They looked the same: a pair of bookends. They'd be in their forties, he was probably a bit younger than her and his hair was a more faded blonde. He sat looking around like he could only contribute a small part of his energy to existing, overdrawn on his account. She seemed more than he could handle. Her skin was pretty smooth for her age. But her neck gave her away. The waterways of England are often small and it is hard for someone to drown in what they sometimes call ‘rivers’. They are not like the sullen wide brown sluices of the Australian inland, or the deep rainforest outpourings of the coast. But our farm was just a few miles from the sea, and it was with surprising ease that I managed to persuade my uncle to come swimming with me, something I had been practicing all summer. When they found him it was impossible to tell if the lesions on his head came from his body tossing in the waves, or from some large stone hitting his temple as he smiled at his quarry. How frail the skull is in parts. How little water is needed to drown. How careful I was to be over at an ice cream stand when he was found, his face all puffed and white. When they questioned my parents, they were unforthcoming, as I expected. Although they never quite looked at me with the same disinterest and after a few years I took my sister to live in Australia, far away from all that English reserve. She had the next morning off but felt restless at home. Anna took the small ferry to Varenna, walked along the quiet path towards a waterfall, il Fumiere, past the little cemetery tucked into the hillside, pausing for just a moment to look at the identical white crosses for the slain soldiers. War seemed so far away, another era. This path was pleasurable because it was even and because there were no vipers. She arrived at a clearing by the waterfall. The air, though still, was full of the cackle of birds and the roar of water over rocks, washing away any thoughts. Nearby was a grotto to the Madonna, a rose twisted beside it, already with one bud bursting into a wonderful deep red. 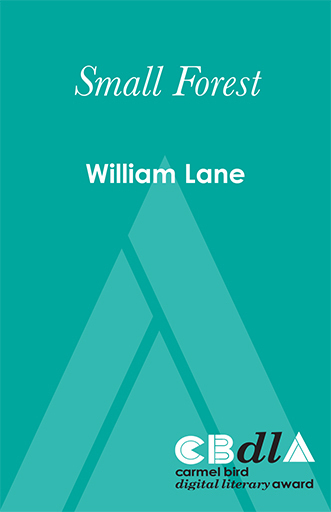 Anna disliked the plaster Madonna; she belonged with The Mosquito – the Cross – far away on the hill. She hated the pain on her mother’s face when she called it that, but she disliked its threatening presence even more. The rose had its own beauty, straggly and unpruned; its warmth meant more than any statue. She stood, drinking a cupful of water from a spring that fed into a stone font which had quenched thirsts for hundreds of years. I felt guilty at first that I had so little to do. Then, just looking after one other person seemed to fill up all my time. Her name was Wilhelmena and she showed me how she did everything, and I copied her just so I did things differently to the way I had in the past. We got along fine, I kept to myself and tried not to get in her way. Then one day she said to me: Why do you peel your potatoes just like I do? What? I said. You do it exactly the same way as me. I felt for the hole in my apron, forgetting I'd bought a new one when I moved in here. She came over to me and took the small paring knife out of my hand and put it down on the bench. Now, she said, potatoes all taste like potatoes, you know. It's the same with carrots. They keep coming, looking just the same, and they keep tasting the same. You should try your own way of doing them. Why don't you do the tomatoes? You always leave them to me. They're lovely to prepare, such beautiful flesh, full of life. Try something different with them. They smell so alive, don't you think? 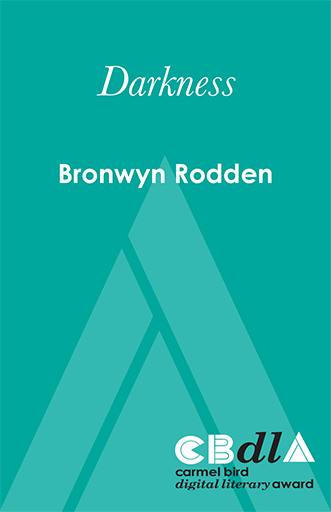 Bronwyn Rodden completed an MA Writing at UTS and won the Patricia Hackett Prize for short fiction. 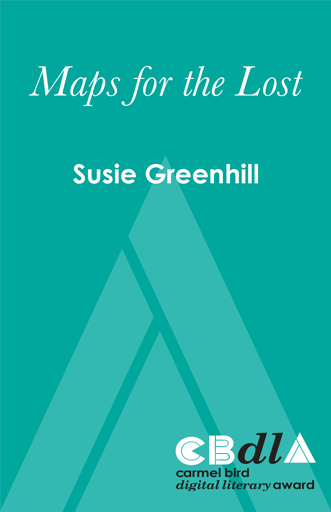 She was awarded an Emerging Writer Grant by the Australia Council for the Arts, a Fellowship from the Bundanon Trust and was selected for the Hachette/QWC 2009 manuscript retreat. 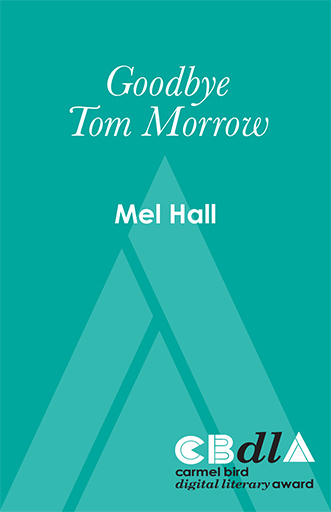 'Goodbye Tom Morrow' is a collection of short stories, flash fiction and creative non-fiction. Mel's style could be described as experimental or rhizomatic, with a strong leaning towards rhythm and musicality rather than plot. The work explores growing up, feeling different, awkwardness, social isolation, Wheatbelt life and transitioning to the city, feeling like an interloper within a step-family, romantic love, bodily dysfunction, chronic-pain, anxiety and mental health issues, and the value of writing as a way of bringing things together and making sense of it all.